Welcome to Sophie's Gown Shoppe! A tradition since 1948, we've been servicing Southwestern Ontario and area brides and bridal parties. For 60 years, we've been offering quality service, selection and expertise. So, how did it all begin? 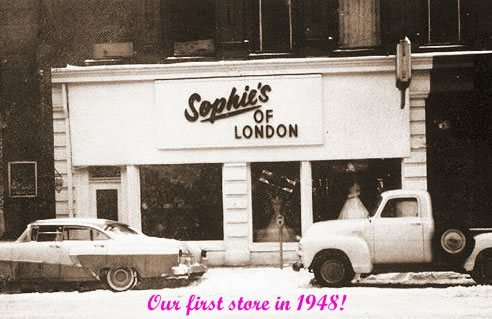 In the late 40's, Sophie and John Stronski started the business in London, Ontario. All of the gowns were hand made and designed by them. Over 30 years ago, the business was sold to Olga Traher. Olgas love for the business and vision to see it grow encouraged her to expand into Windsor, Kitchener and Mississauga. Sophie's is truly a family owned and operated business. Olgas daughter, Jennifer ,and son, Jeff, work alongside her in the different locations. Come and see the difference that experience makes. 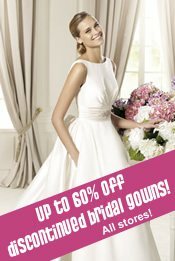 Sophie's Gown Shoppe has been making bride's dreams come true for over five decades. Trust the Bridal Specialists to help you create a memory that will last a lifetime - "of all life's treasures, none make you feel luckier than your memories."